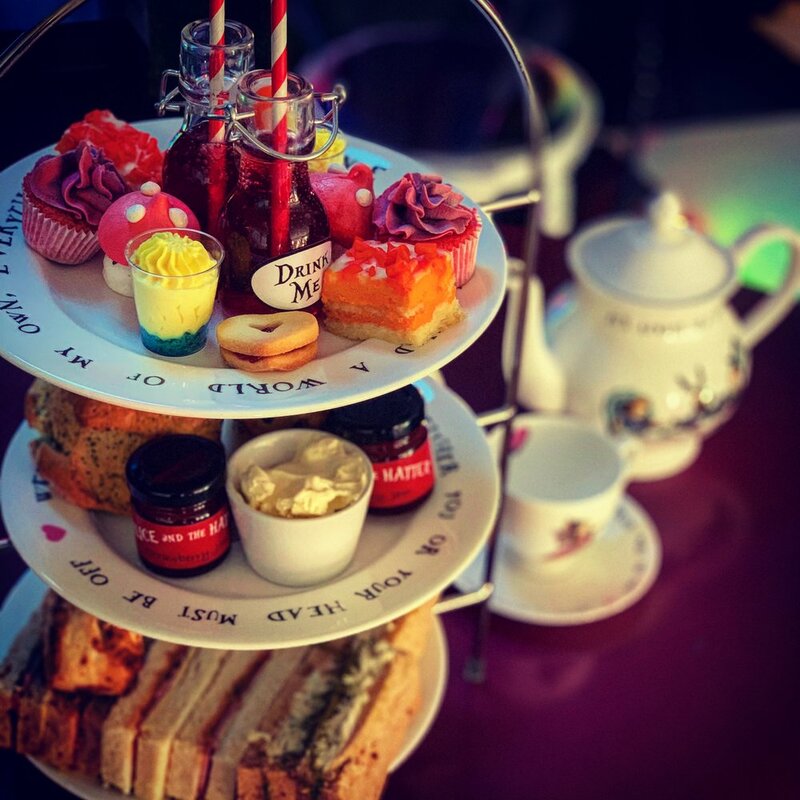 Located in Herne Bay and Canterbury, Alice and the Hatter is a purveyor of fine Afternoon teas from the esteemed Tea maker The Hatter. "Take some more tea" the March Hare said to Alice. Lewis Carol wrote “begin at the beginning” and so Alice and the Hatter comes to town in the form of a new themed tearoom in Herne Bay and now also in Canterbury. Offering a family atmosphere and ambience best described as curious, the décor of themed wall art, chequered floor, throne chairs, tea cup stools, grassy nooks and love seats is a unique experience which is waiting for you to discover. A warm welcome is assured for all customers while at centre stage a communal space using our 'Queen of Hearts' table, available to those celebrating special occasions, is adorned with tea cup stools, a large throne for the 'special guest' and, of course, a large teapot! Be sure to email us at info@aliceandthehatter.co.uk for parties. Why not join us for your special occasion be it a birthday, baby shower, anniversary or just a good excuse for a tea party with a difference. Alice or The Hatter are sure to make an appearance if you ask. Whether booking for two or forty guests, please email us to discuss your particular requirements and we'll always do our very best to offer inspiration and make it an occasion to remember. At Alice and the Hatter our aim is simply to be the best afternoon tea venue in Kent - a tea room for all ages. We cater for and appeal to anyone who likes a touch of the unusual and afternoon tea with a twist. 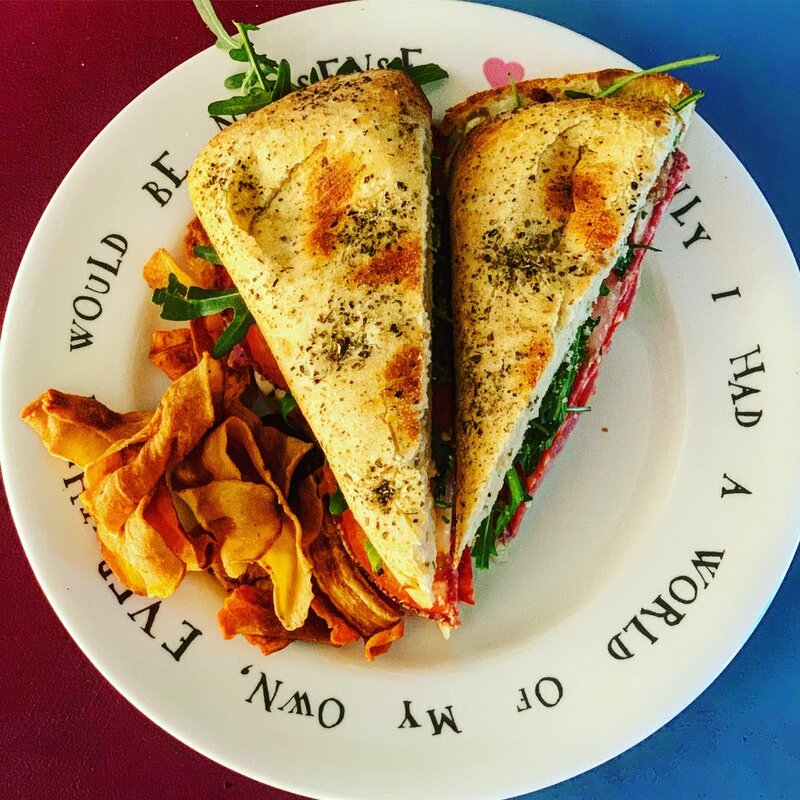 The Hatter brings a food focus to “open book sandwiches”, for those who want a healthy choice with accompanying offerings of both specialist tea’s and coffee’s which has not been seen before locally. 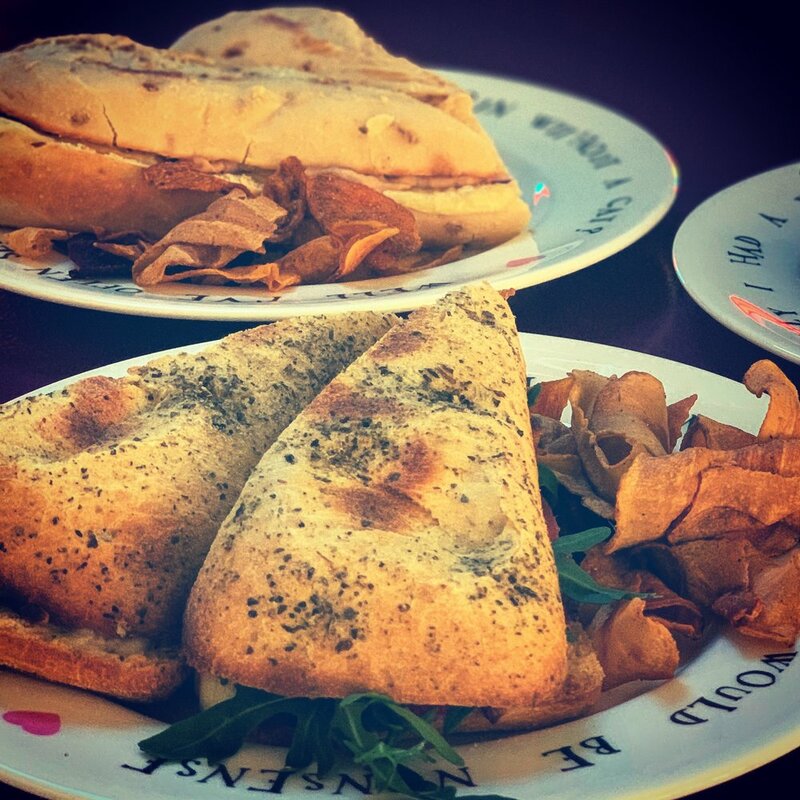 In a world of intolerance's and choices a gluten-free and vegetarian selection is available. There are also delightful handmade artisan patisseries and bread, for those with that sweet tooth. We are a licensed tearoom and offer a small, but perfectly formed, selection of alcoholic drinks including our house red, white or rose wines specially selected Prosseco for those that like a little fizz and a range of Kentish ciders and beers. As “It's no use going back to yesterday” it may be worth a visit to Alice and the Hatter tomorrow. Which Store would you like to vist? For what date and time would you like to make a reservation? We are open 9am to 5pm Monday to Saturday and 10am to 4pm Sundays and Bank Holidays. Please note that your booking is not firm until we have confirmed back to you either by telephone or email. We are usually able to do this within 4 working hours but at busy periods may be a little longer. Please note a minimum of 24 hours notice is required for afternoon teas and we reserve the right to charge for bookings not fulfilled or cancelled with under 24 hours notice. A £5 deposit per head is payable in advance for all afternoon teas. Please tell us any special dietary requirements your guest may have? Once you have clicked submit you will receive an email containing your unique reference number - please quote this should you wish to cancel or change arrangements. Thank you for you booking someone will contact you shortly regarding your booking. We’d be delighted to talk to you about your exclusive party. If you’re a group of more than 10 people, you can hire Alice and the Hatter exclusively from 6pm onward seven days a week. …or any other gatherings you can think of! Please contact one of our store's and speak to someone about your individual requirements. Ham, Cheese, Tuna Cucumber, Jam 'Shrink me Sandwiches'. 'Pack of Cards' Cheese Savouries. Cucumber/ Tomato/ Carrot 'Croquet Mallets'. Strawberry/ Marshmallow 'Jousts'. Toadstool Cupcake, 'Eat me' Jelly. Squash/ Water/ Milk.